Together with Jeremy Podany, Inventor of Career Tools, and CSU Ventures, we are pleased to announce that uConnect has acquired the assets of Career Tools, a virtual resource library technology developed, incubated, and commercialized at Colorado State University. When I first met Jeremy and learned about Career Tools, I was immediately drawn to the mission and vision behind the service. Like uConnect, Career Tools focused not on providing a point solution such as campus recruiting or alumni networking, but instead on helping schools simplify access and improve engagement with the career resources they already had, but that were most likely underutilized. We launched uConnect in 2013 after extensive research found that career services and the resources they offered were dramatically overlooked by students and the campus community. We aimed to fill a gap in the career services technology ecosystem by focusing our efforts on building marketing technology that offered career offices a platform to deliver modern student communications, a highly curated experience for every student, and engagement analytics across every resources and every channel. Early on, we found a lot of interest, but urgency for a solution like ours wasn’t there yet. There was an awareness gap. Most career offices had never thought about why marketing technology is important, nor what the ideal solution would look like. As a small company, raising awareness about the importance of marketing in career services was a daunting task but, when Jeremy launched Career Tools, his leadership brought much needed attention to the need for a student engagement solution. Today, with nearly 100 institutions using uConnect to showcase their career resources and services, the momentum and urgency for technology to promote career services is at an all-time high. When the opportunity arose, the decision to bring in Career Tools was easy, largely because of the mission uConnect and Career Tools share: to help schools make career resources and services more visible, accessible and universally effective in guiding all students to meaningful career outcomes. Now that the transaction is official, the uConnect team will be working behind the scenes to integrate the two platforms. We are eager to leverage our technical integrations with many of the most commonly used career service technologies, rich and dynamic user interfaces, modern student communication tools, and an intelligent recommendation engine to create the most powerful and effective student engagement experience. Career Tools customers will also have the opportunity to leverage their career outcome data to inspire engagement, using uConnect’s Outcome Data Visualization tool. 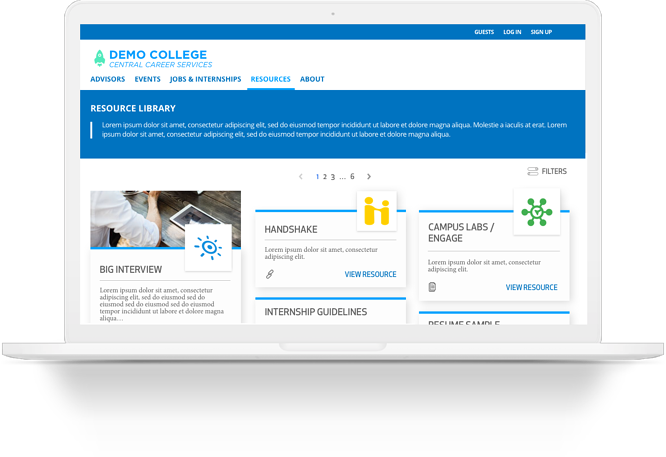 For institutions, the expanded interface will not only improve engagement with students but also raise awareness about important career resources among faculty, advisors, and staff - who will be able to evangelize career resources with ease in their daily interactions with students. uConnect’s integration with SSO will be an added feature to streamline access, personalize the user experience and facilitate much improved tracking of resource engagement and utilization. With the firepower of the uConnect team now behind Career Tools, we will be aggressively expanding the solution to encourage students to leverage career services earlier in their journey, to inform more purposeful, career-driven pathways. And, stay tuned as we expand access for prospective students and parents, providing much needed transparency into career pathways and support services offered to help students plan and launch their careers - often times a critical factor in a student’s enrollment decision¹. We're honored to have the opportunity to carry on the great work and vision behind Career Tools, and beyond excited to harness the power behind these two technologies to develop the most innovative and dynamic mechanism for engaging students in the massively important work of career services. We will be releasing the new product in January. If you'd like to learn more, or see the new Career Tools powered by uConnect, email info@gouconnect.com.